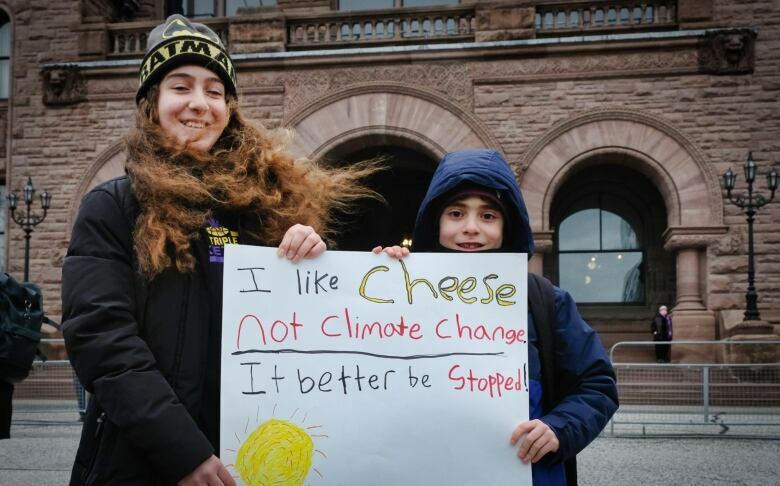 Children and teens in Toronto joined youth around the world on Friday to demand action on climate change at Queen's Park. 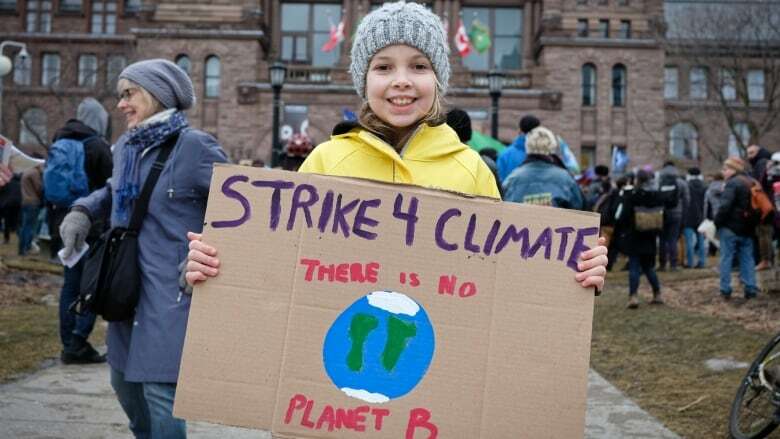 Children and teens in Toronto joined youth around the world on Friday to demand action on climate change. 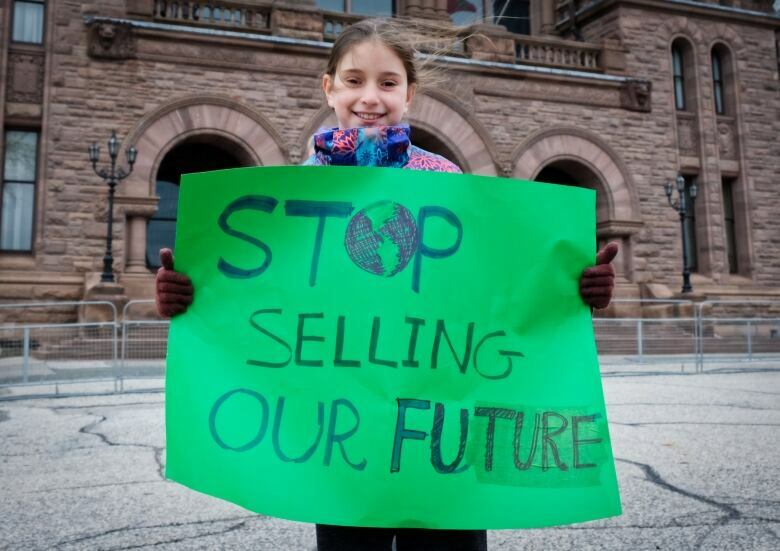 Youth chanted and brandished signs outside Queen's Park, with urgent pleas for the planet's future. 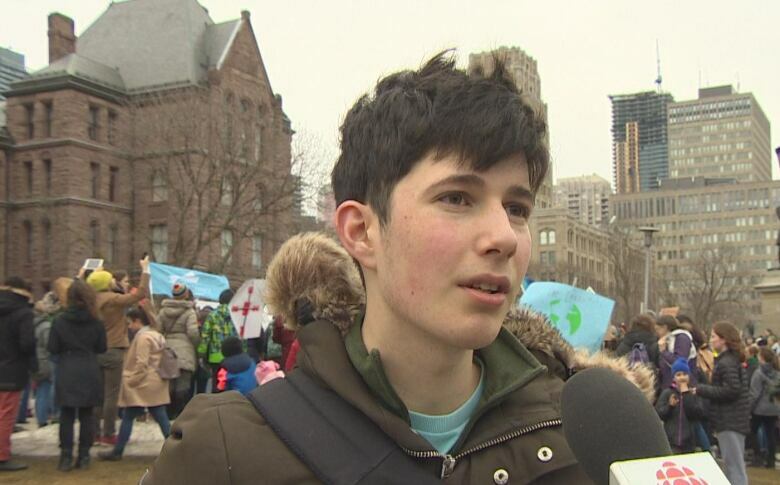 "I'm literally scared of dying," said Alik Volkov, 17. "In 50 years when sea levels rise ... there's going to be less space for people to live in, there's going to be less food around." Volkov joined thousands of students in more than 100 countries who took part in coordinated demonstrations to protest what they see as failures by their governments. 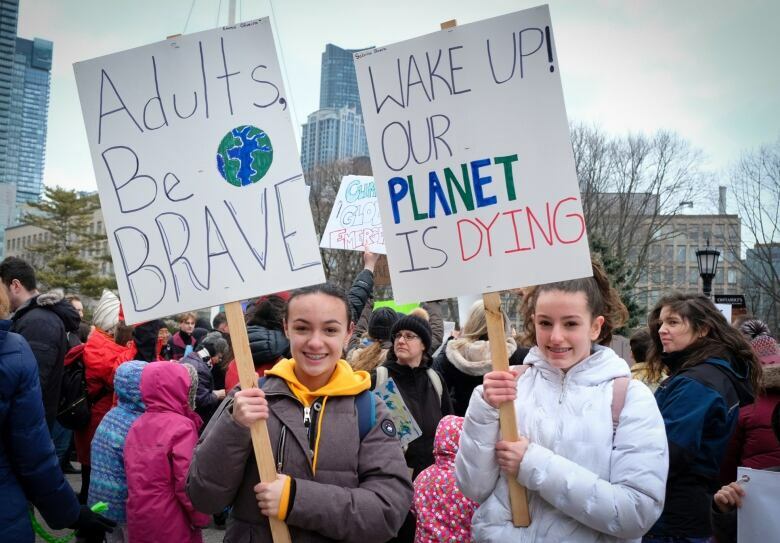 The protests, which included adults, were inspired by 16-year-old Swedish activist Greta Thunberg, who began holding solitary demonstrations outside the Swedish parliament last year. 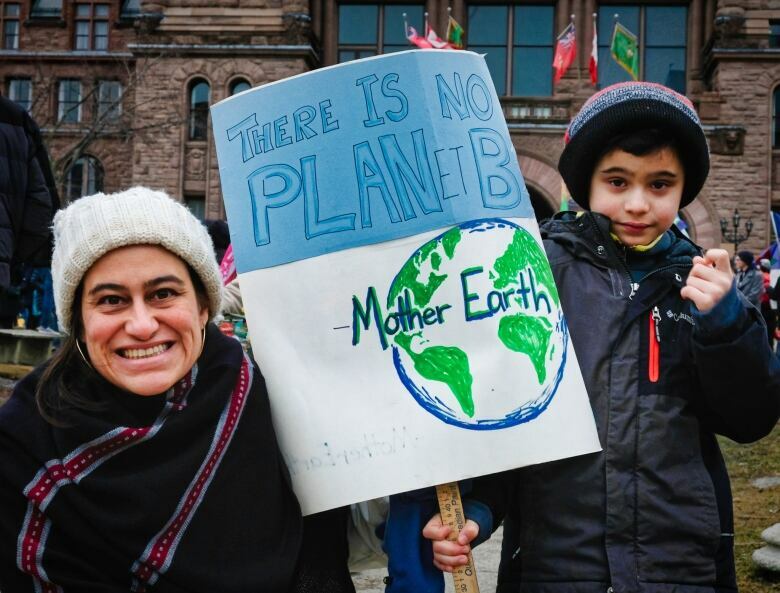 Since then, the weekly protests have snowballed from a handful of cities to hundreds — including several across Canada. 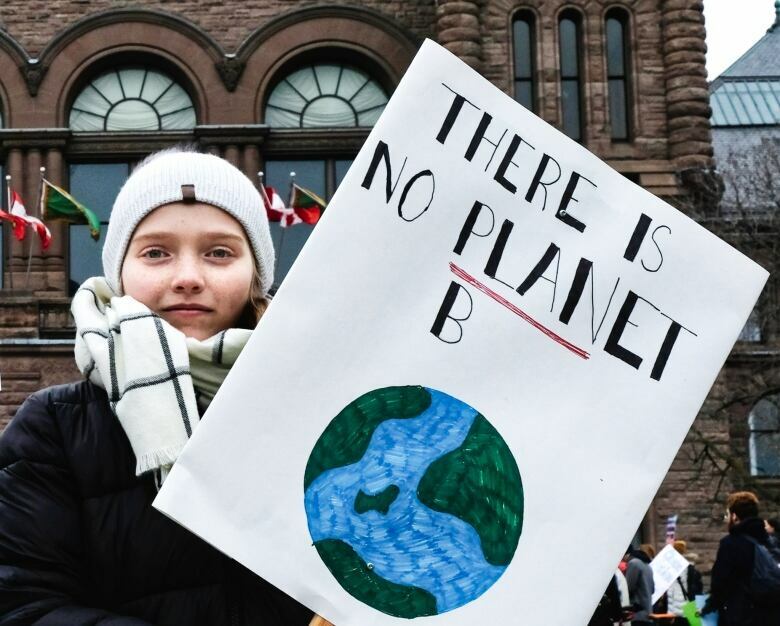 "Stop telling us to go to school so we can figure out how to stop the climate crisis, because we already know how to do it," Volkov said, in a message for government. "We've known for decades now, and yet nothing was ever done." 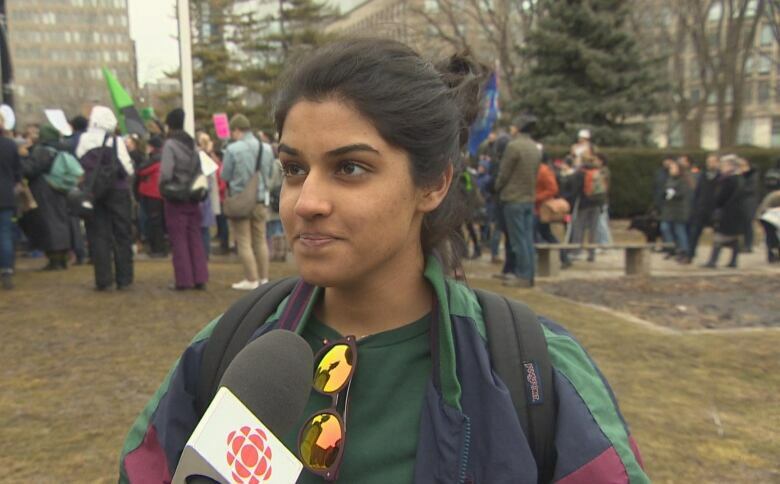 Samiha Chatoo, 17, said she understands this change is easier said than done — but this issue is critical. 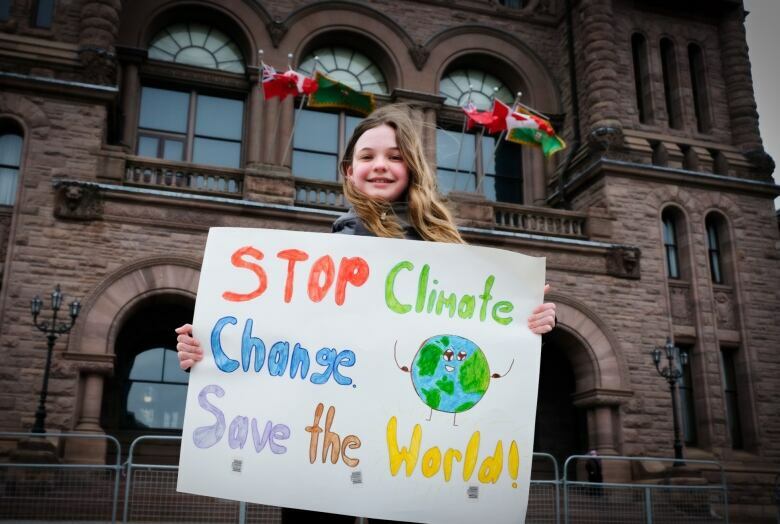 She says politicians need to prioritize climate change. "Every little issue that they're working on right now won't exist. We won't exist." said Chatoo, who wants to be an nano-technology engineer so she can work on combating climate change. "I feel more hurt than scared," she said. "We've treated our home so horribly." Volkov said he's always surprised that climate change isn't on the news every day. "This is our chance to actually let the whole world see that this is important and we need immediate action," Volkov said. 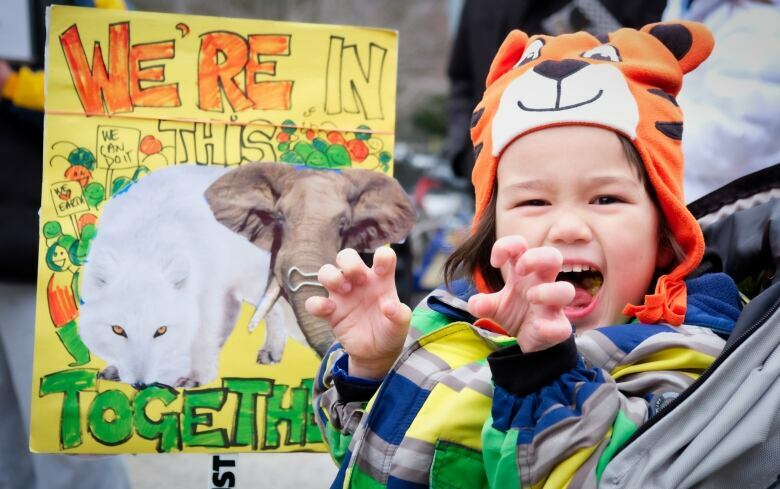 One young demonstrator urged other youth to protest as well — and to wear green if their parents won't let them.